Barbados is overrun with exciting opportunities to explore the Caribbean's past beyond the sun, sea and sand. 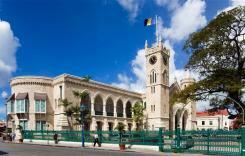 Today, a visit to Barbados brings history to life through guided tours, mapped routes and even self exploration. It is easy to connect with the past while exploring Barbados in the present.